insight6 explores the importance of customer engagement, the impact it has on Customer Experience and the strategies you can apply to your business. Customer engagement is any direct contact between a brand and its customers. It is incredibly important that brands reach out to customers in the right way so that they positively enhance the Customer Experience. Interactions between a brand and its customer can be both offline or online, ranging from surveys and point of sale promotions to mentioning each other on Twitter. How a brand interacts with their customers will vary depending on the business and who their customers are. Brands that are targeted towards the younger generations, for example, should be looking at social media and other forms of online engagement to truly grab their audience’s attention on a platform that suits the customer. 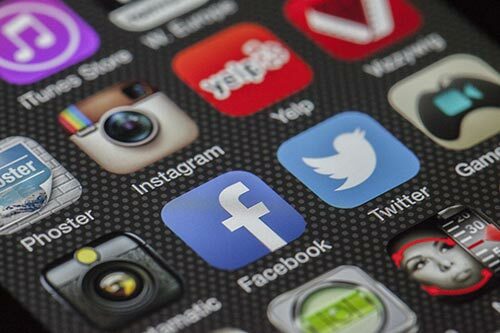 The rise of social media has had a real positive influence on the ability of brands to engage with their customers as it provides a quick and accessible way to provide support, information, address issues and increase brand awareness. What impact does this have on Customer Experience? To put it simply, when a customer feels engaged and connected to a brand they are more likely to have a positive overall experience. By engaging with its customers, a brand can positively enhance the emotional connection that is required for the best Customer Experience. The modern customer has become accustomed, and now expects, the opportunity to be an active part of a company. Customers don’t wish too simply make a purchase, they are interested in the journey, they want to actively participate and become a part of a brand. Without a doubt, social media has had a massive influence on the ability of brands to engage with their customers. Social media, if used properly, can be an extremely effective tool in breaking news to customers, posting engaging content for them to share, to address issues, and to promote your brand. Do your research and find out which social media sites are popular with your customer base and focus your efforts there. Invite customers to leave reviews of your business online so that they can share their experiences with your brand. 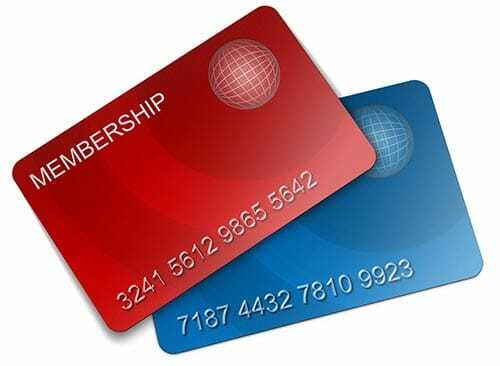 If you want to encourage brand loyalty then creating a form of membership or V.I.P club for long standing customers is a great initiative. V.I.P customers should be those who have used the brand for a while, referred friends and family to it and are genuinely just fans of the brand. These customers can be offered exclusive access to things such as a member’s login on your website, a special monthly members newsletter with unique discounts available. Whatever you choose to offer it is all about your brand becoming closer to its customers. This form of engagement works really well with any long standing customers, improving their experience and making them feel valued for the time and money they have spent on your brand. Of course, you should engage with every customer but providing an extra level to that the most loyal customers will add that extra incentive to keep them coming back. Closely follow the developments and journey of your customers as they use your business – at what points are they most impressed? What issues do they bring up that need to be addressed? By following their journey and development you will be able to gain a better understanding of the changes you can make at each stage of the process and where you can better engage with your customers in the future. In turn this will allow you to put your time into these ideas with confidence that they will work. There are many ways to ensure that the communication that you have with your customers is personal and it is something that you should make a priority as it helps to make a customer feel closer connected to the brand. With the advances in technology, it is now easier than ever to provide customers with personalised content, for example, you can send an email to customers on their birthday through an automatically generated system, offering them a discount or special offer to celebrate their day. You will have noticed this is something huge brands such as Netflix, Spotify and Amazon do regularly by having ‘recommended for you’ sections on their websites. A simpler way to personalise your communication with a customer is to ensure that you take down their name and use it whenever you are communicating with them. Whichever way you achieve personalisation, the aim should always be to make the customer feel as welcome as possible. While it is possible for customers to connect with a brand, people naturally connect with each other. If it is possible, let the customers meet the team behind your brand, whether that is through social media, email or in person, communication doesn’t have to be signed off from the brand. If you are communicating with the customer via email or social media then let the team member dealing with the customer sign off with their own name and use their own individual personality to their advantage in building a relationship with the customer. Not all engagement has to be online. One great way to engage with your customers is to host events or Q&A sessions where customers can come and find out more about the products or services that you offer. Think about what you offer and the kind of event your customer would like to attend – would they like an opportunity to come and ask questions about current products and products of the future? Could you hold a conference style event with seminar speakers? Or an awards evening? 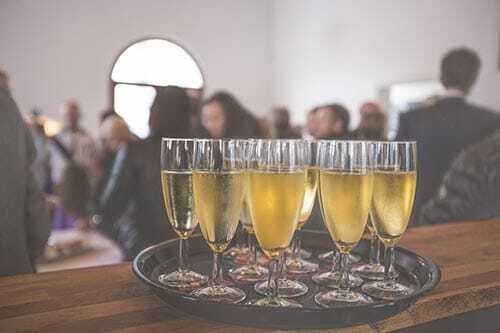 There are many possibilities – think back to your V.I.P customers, you could even host an exclusive event for them, think how special and looked after they will feel being given an invite. 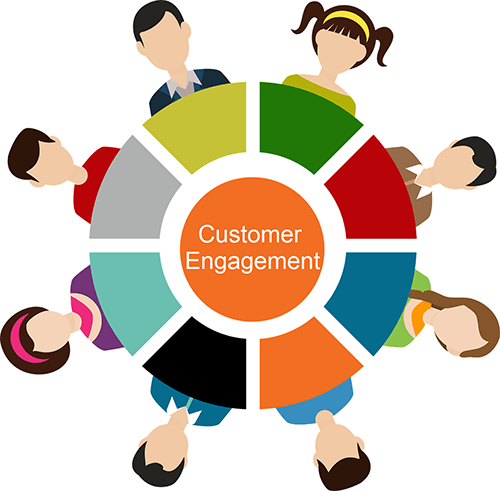 Why is customer engagement important? In terms of numbers, statistics from Gallup research shows that having fully engaged customers leads to 23% more revenue than average. Having contact and engaging your customers is crucial in gaining a better understanding of what your customer wants from you. There are a huge number of benefits to engaging your customers in the right way including building customer loyalty, trust, building better relationships and gaining their valuable insights. There is no one engagement strategy that would work for every business, so it is important to tailor yours to your brand and to your customers, but the focus should always be on building a connection with your customers.